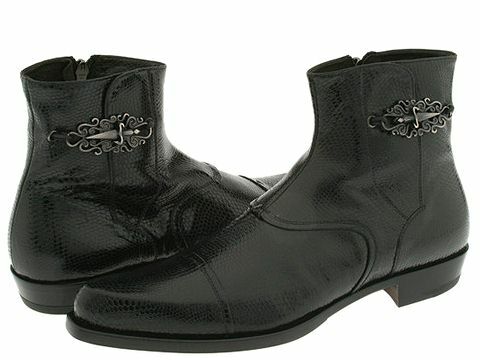 Amazing ankle boots with signature hardware dagger detail. Printed kid leather upper in a cap toe design. Instep zipper. Leather lining. Leather sole. Made in Italy.